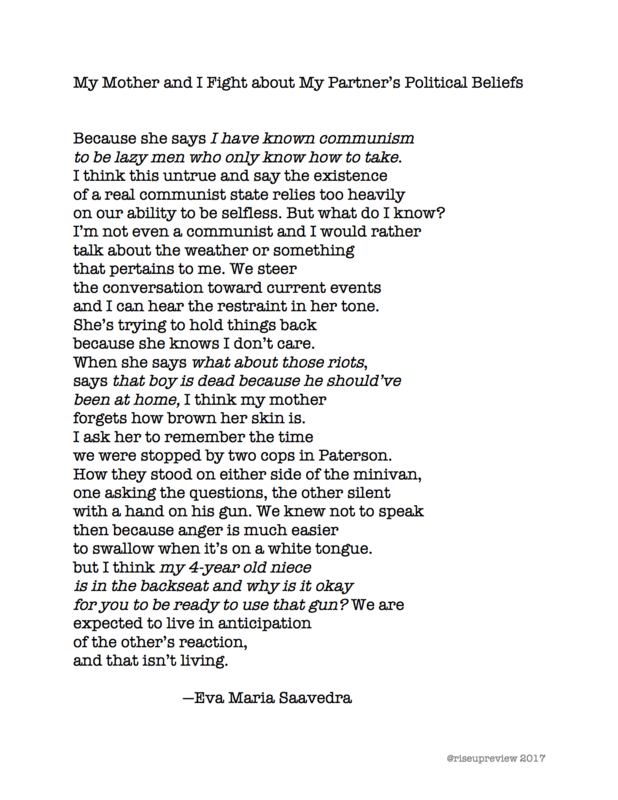 Eva Maria Saavedra was born and raised in New Jersey and now resides in Brooklyn, NY. She received a BA from SUNY Purchase and an MFA in writing and translation from Columbia's School of the Arts. Her chapbook, Thirst, was selected by Marilyn Hacker for the Poetry Society of America's 2014 New York Chapbook Fellowship. Her poetry has appeared in Callaloo, Catch-Up, The Acentos Review, Generations, Prick of the Spindle, and Apogee Journal.